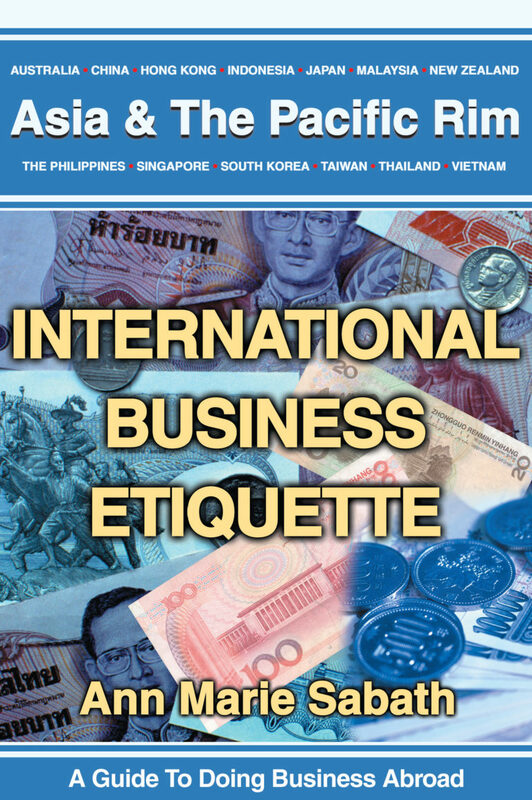 International Business Etiquette: Asia and the Pacific Rim is the ideal guide for establishing and maintaining relationships in Asia, and it is as well-suited to the first-time traveler as to the seasoned veteran. For quick reference, chapters are devoted to each of the countries covered and offer countless suggestions and sage advice that can help you get ahead make the deal and build relationships that matter. —Ron Officer, President, Creative Group, Inc.
Small talk is considered to be important prior to the start of a meeting; therefore, it is helpful to know topics that are considered appropriate. They include the weather, what you’ve enjoyed about your visit to China, your other travel experiences, and so on. Questions that Westerners consider forward and even inappropriate are considered acceptable by the Chinese. Such questions may include your salary, your marital stats, and the number of children you have. If you prefer not to disclose such information, be indirect with your response. Be sure not to openly shun the questioner. This will spare him or her, and also those around you, from losing face. While it is not necessary to present gifts during your first few meetings, it is a good idea to go prepared with items that are representative of your city or country, such as good quality pens or a paperweight with your organization’s logo on it. As in many other Asian countries, avoid giving clocks, watches, handkerchiefs, and white flowers s gifts, because these items are equated with death. Also stay away from scissors, knives, and other forms of cutlery, which re thought of as severing ties. It is very important that gifts not be so expensive that you embarrass or oblige your Chinese host to respond in kind. By going to a meeting with a gift in your briefcase, you will be prepared to reciprocate when you are presented with one. Gifts also will come in handy if someone has done a special favor for you. The recommended color of wrapping paper is red. When you present a gift to your Chinese client, recognize that it may be refused the first few times out of politeness. You also should go through the ritual of refusing a gift a few times before accepting it. Once a gift is accepted, it should be opened in private rather than in front of the gift-giver. If you are presented with eight of something, know that t may not have been by chance. Eight is considered the luckiest of numbers by the Chinese.